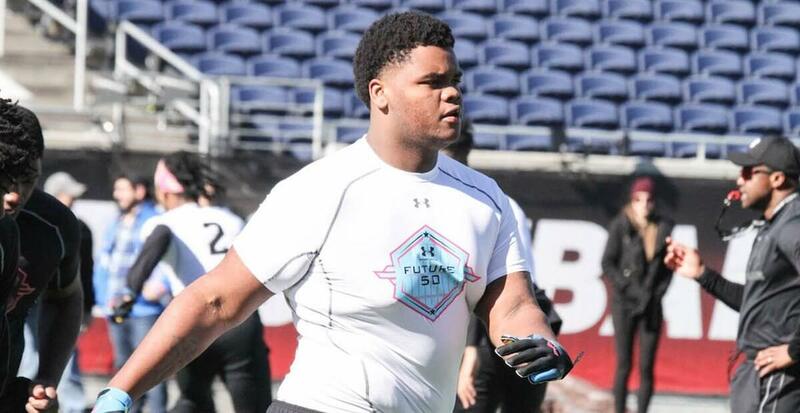 Florida’s annual Junior Day has yielded at least one tangible result so far. Consensus four star DT Johnnie Brown (Tampa, FL/Middleton) has committed to Florida on his visit to Gainesville. Brown also had offers from LSU, Mississippi State, Georgia, Texas A&M and Tennessee. Brown’s commitment makes eight for the Gators’ Class of 2020, six of whom are of four star caliber according to 247’s Composite ranking system. That same ranking system has that Florida class ranked #3 in the nation- granted, we’re still not even at the finish line for the 2019 cycle, but it’s always better to start fast than to start slow. And with the momentum that Mullen is building with this class, the start this class is off to may just be a teaser.